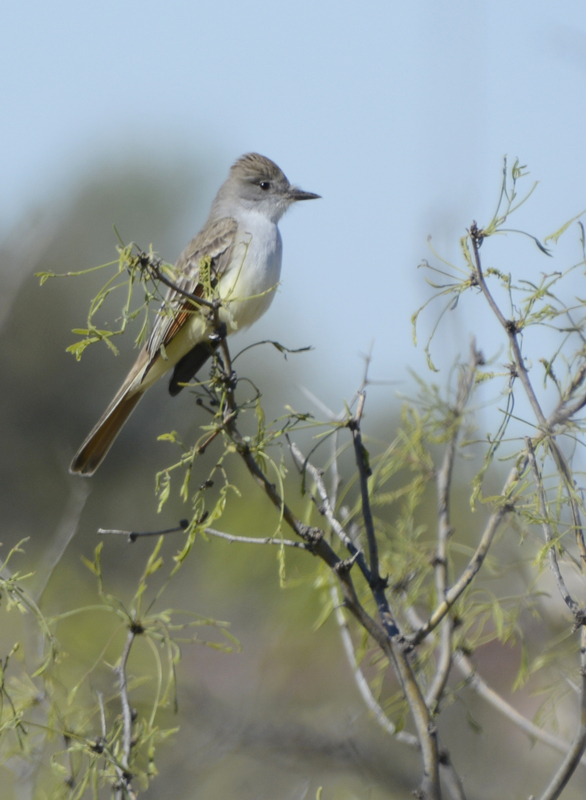 Tyrant Flycatchers (Family Tyrannidae) are found only in the Western Hemisphere.The family is named for the aggressive behaviors of some species and their habit of capturing flying insects, but they also catch insect prey on foliage and on the ground. The Family Tyrannidae is one of the largest and most diverse avian families in every country of the Americas with the exception of the United States and Canada where relatively few species occur.North American tyrranids exhibit a behavior known as “sallying”---a feeding style of sitting quietly on a perch and suddenly flying to catch an insect on the wing and returning to the same perch; often the capture of the insect is accompanied with an audible click of the bill. 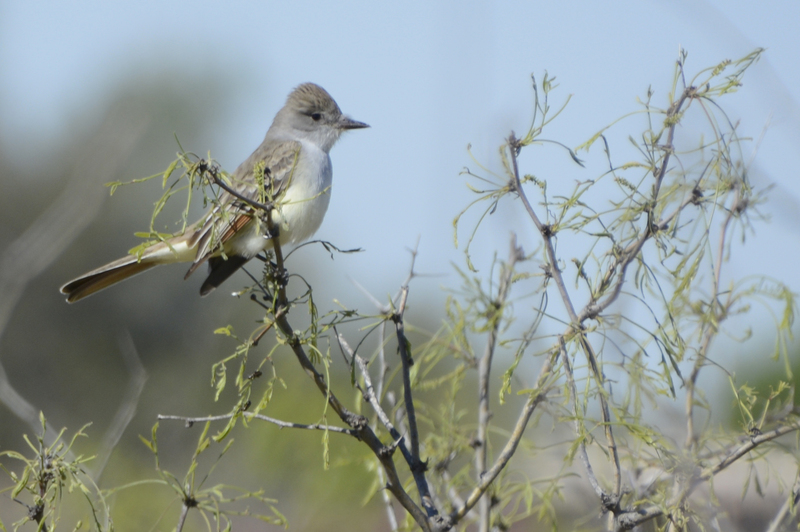 The Ash-throated Flycatcher (Myiarchuscinerascens) is often found in dense thickets of mesquite.They are short-distance migrants spending winter from southern Mexico to Honduras and breeding in desert scrub, riparian forest, brushy pastures, and open woodlands from the western United States to central Mexico.Unlike the sallying behavior of other tyrant flycatchers, ash-throats often move to another perch rather than returning to the same one after catching an insect.Many species in the genus Myiarchus closely resemble each other, so they are most reliably distinguished by their call.